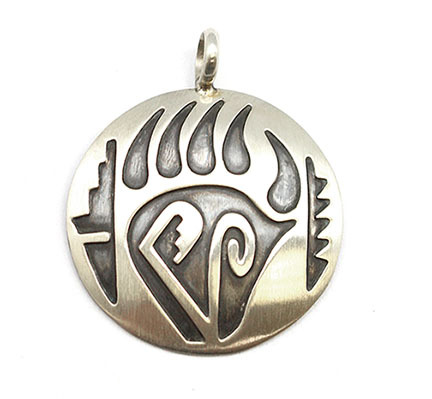 Sterling silver round bear paw overlay pendant. It measuresjust over 1 1/4" long including bail by1 1/8" wide. It is Navajo hand made by Stanley Gene. Side designs may vary and all are in satin finish.